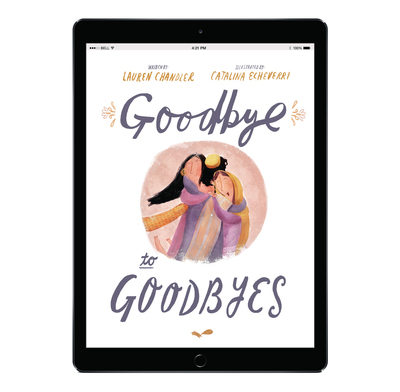 Full size images of the awesome illustrations in Goodbye to Goodbyes to use on big screens. Together with the the storybook these images allow you to read the story while showing the pictures on a large screen so that everyone can see them. In this vivid, moving and exciting retelling of the story of Lazarus, Lauren Chandler helps children understand how Jesus makes all the difference to death. Children will see that because Jesus rose from death, he has power over it and all who believe in him will also rise, just as Lazarus did.